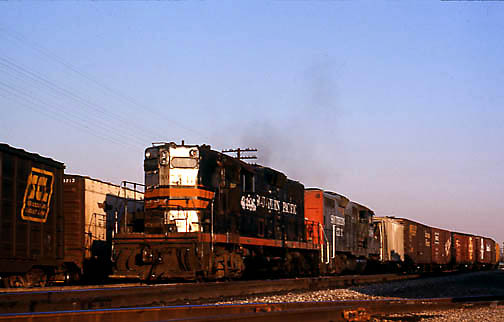 A 1970’s pictorial of railroading. 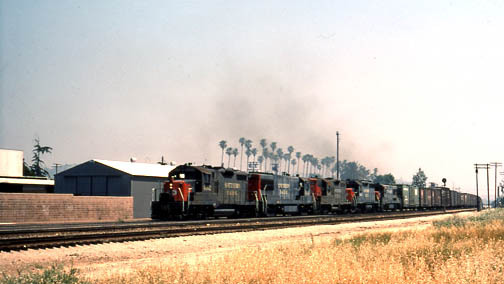 A Valley Line freight passing the Glendale Depot speeds torwards Mojave. The Saugus Local #3405, GP9 diesel, speeds past the Glendale Depot freight dock heading west for the afternoon and night work. The 3405 has passed Burbank Junction and on the Valley Line just crossing the Buena Vista Street road crossing. The Sun Valley siding is another mile down the line where the local will drop off its empty ballast hopper cars to be set out at the gravel pit there. Go to see operations at the The Conrock Sand & Gravel Pit. Further west at San Fernando more switching is done before nightfall with the #3405, at the time (July 1972), was one of the last Black Widow painted diesels left on the system. Back at Glendale we see another Espee Coast Route westbound that was typical of the early 1970’s power . 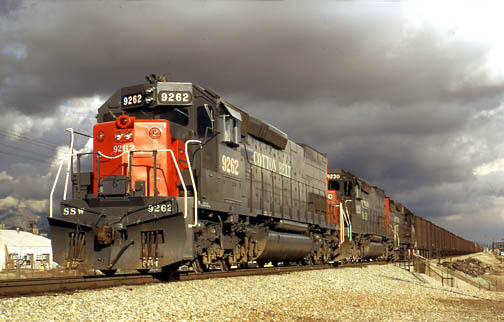 A GP20, #4052 leading the pack with a U-25, GP9, GP35 and U-25 in order. 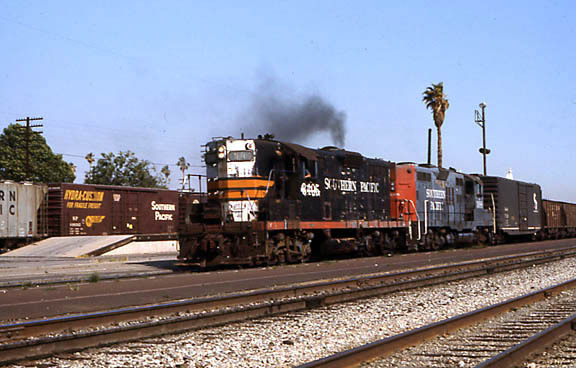 Eastbound SP 6653, passing the Alan Ave. crossovers in Glendale, May 1976. 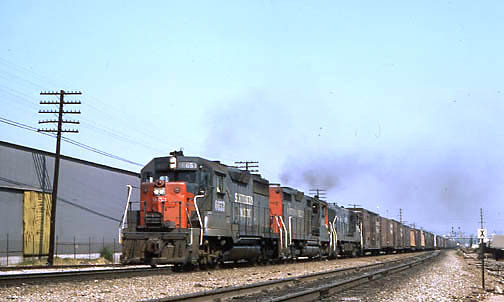 At Burbank, an SD45, #8947, leads three GE diesels on this westbound sugar beet train heading towards the Coast Line, May,1976. 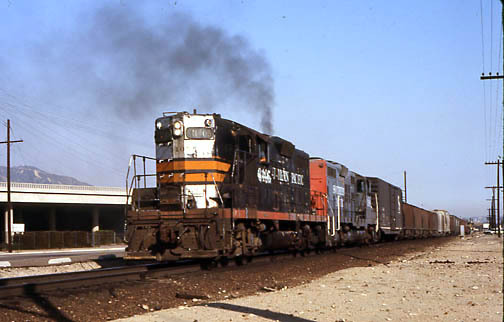 A New SD45T-2, #9262 with a reefer block makes a stop on its westbound journey on the Coast Line at Van Nuys, March 1973.